The fundraising thermometer is a staple of most online fundraising pages, including those on Classy, but what’s the point of it? Is there any real advantage to using a thermometer to display progress? Why not just keep a running count of the total raised and call it a day? As it turns out the fundraising thermometer actually does serve a pretty important purpose. In fact, when it’s used the right way, it can help motivate and propel your fundraisers to reach your campaign goal. Unfortunately, if it you use it the wrong way, it can do the opposite. Which Fundraising Thermometer are we Talking About? All of this begs the question, what exactly is the “right way” to use your fundraising thermometer? But before we dive into that question, let’s start by clarifying exactly which fundraising thermometer we’re going to be talking about. For a peer-to-peer campaign on StayClassy there are two different types of fundraising thermometers. 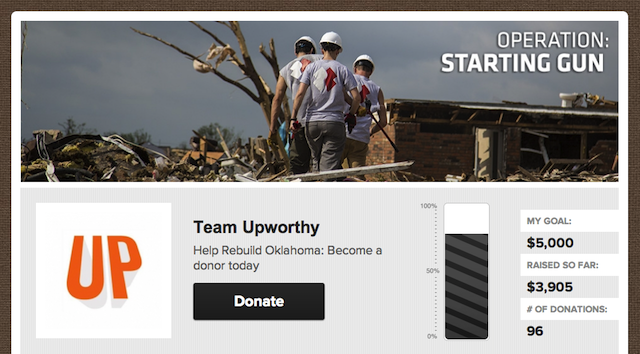 One is on the main campaign landing page; it measures progress towards the overall fundraising goal. 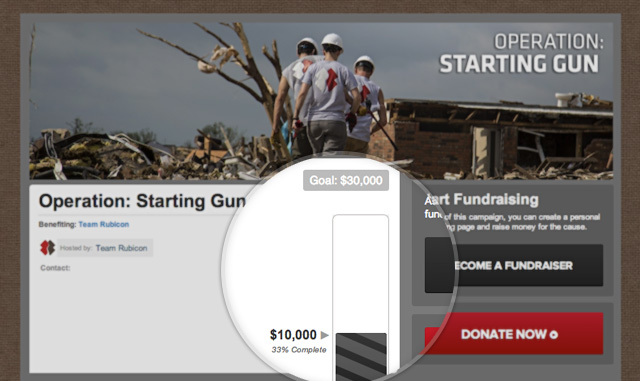 The other type is located on each individual fundraising page; they show progress towards each individual’s fundraising goal. We’re going to be talking about how you can use the main campaign thermometer to help give your campaign the best chance of succeeding. Now that we know which fundraising thermometer we’re talking about, we can move on to discussing how to use it the right way. 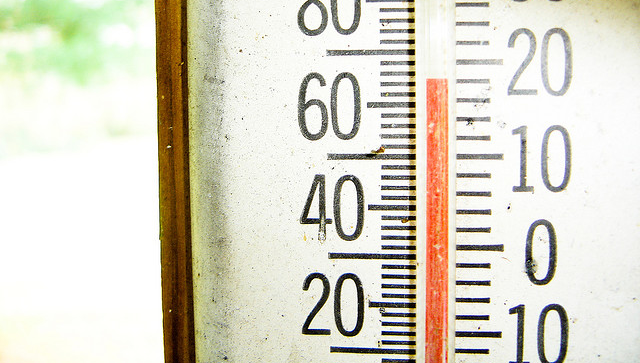 Fundamentally, the idea of using your thermometer the “right way” really boils down to the question of how do you set your goal in a way that will maximize the motivation of your participants. 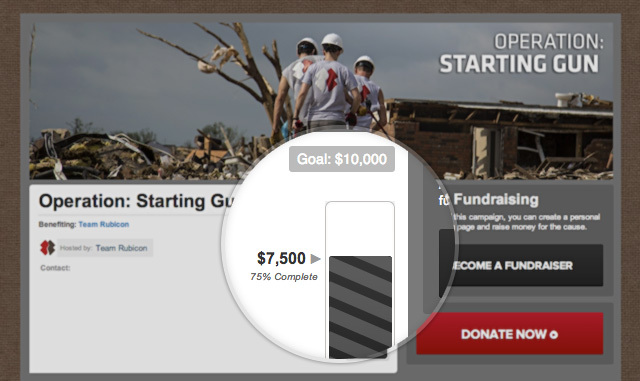 Your thermometer provides a quick visual way of displaying progress towards your overall fundraising goal. It gives people visiting your campaign page a quick indication of the health of your campaign. Your job is to set things up so you’re continuously sending a message of progress to visitors. We’ve discussed before the different stages of a peer-to-peer fundraising campaign, and the importance of the campaign launch in particular, but let’s briefly recap. Any well-run campaign will start with a planning phase. During this period you will figure out what you are fundraising for, set a goal, come up with a campaign theme, and design some compelling content that you can use to help market your fundraising effort. After you’ve completed the requisite planning, you will move on to the next phase of the campaign—the recruitment phase. The recruitment phase is exactly what it sounds like. It’s the period when you proactively recruit fundraisers into your campaign. We generally advocate splitting this period up into two components, the soft launch and the hard launch. During the soft launch you send out personal emails and make phone calls to your core supporters (staff, passionate volunteers, past fundraisers, etc) and you ask them to be a part of the “inner circle” of your campaign. The idea is to get your most passionate supporters fundraising early so you can create a frame of progress by the time you launch the campaign to your wider audience. By setting a sub goal you create a manageable framework for your initial group of fundraisers. It’s not fun to see an imposing goal hanging over your head. A smaller initial goal will give your core supporters something achievable that they can rally around. You can even tailor your messaging to these supporters around the importance of hitting the initial goal together. 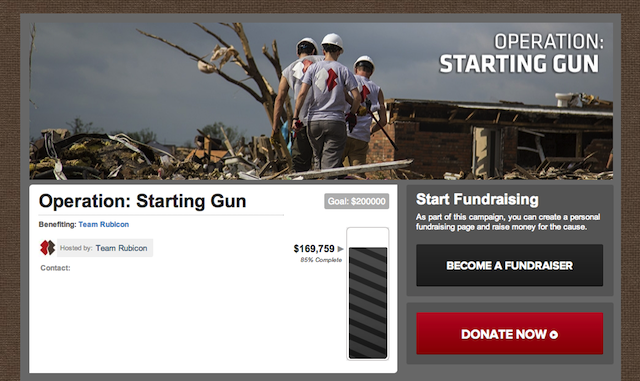 This creates a “campaign with the campaign” and gives your fundraisers something to shoot for from day one. Then, when they hit the goal, you will have a “win” to celebrate and keep the enthusiasm high as you enter the main portion of your campaign. Now as you recruit more fundraisers and launch your big marketing push, people will be able to see that substantial progress has already been made. People like to get behind winning efforts. The initial progress that you will be able to reflect on your fundraising thermometer will help increase the chances that your other supporters will join the campaign. Is it OK to Move the Goal Posts? So let’s say everything is going as planned. You hit your initial goal of $10,000 during the soft launch and in another two weeks you’ve busted the fundraising thermometer once again, surpassing $30,000. Now what do you do? Call it day and wrap up? Well, you certainly could do that, but the better idea is to raise your overall goal again. Of course, you want to stay away from doing this too frequently, but it’s definitely OK to do it once during a fundraising campaign. The upside is that you get to celebrate another “win” when you hit the initial campaign goal, and you still have time to spur the troops on to new heights. All of this suggests that it’s probably better to fall on the conservative side when you are setting your initial fundraising goal. You don’t need to shoot too low, but you should be mindful of making your goal achievable. By doing this, you set yourself up to hit your goal, celebrate the win, and push even higher. If you set your goal super high at the outset, you may wind up discouraging people from participating (because they perceive it as too tough of a challenge) and you will definitely lose momentum if you have to adjust you goal downward during the actual campaign. At the end of the day, your fundraising thermometer really operates as a signal to your audience. Make sure you are strategic about the goals you are setting to ensure you are sending the right message throughout your campaign!